The Epic story retold through the medium of theatre. 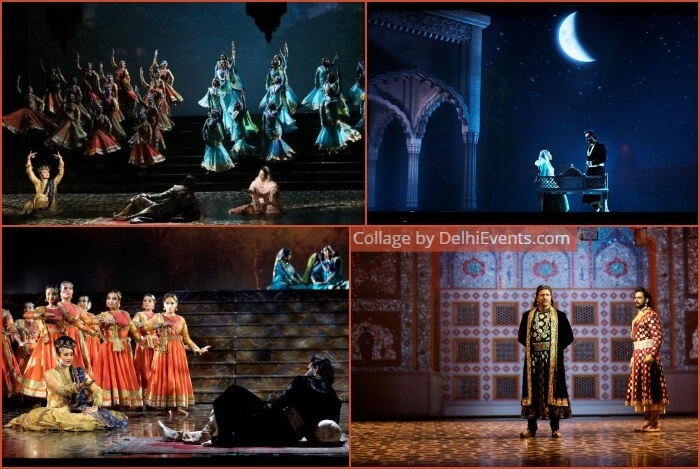 After having entertained theatre lovers globally, with raving reviews and standing ovations by over 2,50,000 patrons, Mughal-e-Azam is all set for its grand comeback to New Delhi. With the resounding success of two back-to-back completely sold-out seasons, BookMyShow, bows down to public demand, bringing the 16 th century love saga to the capital city, once more. The grand musical will be back for its 175th show. Directed by renowned film-maker and playwright Feroz Abbas Khan with performances by an enviable cast, beautifully choreographed Kathak sequences, mesmerising music and intricate sets, Mughal-e-Azam captures the chronicles of Salim and Anarkali’s classic love story like never before. The classic screen-to-stage adaptation also boasts of dazzling costumes by famed designer Manish Malhotra combined with the technical expertise of Broadway and original hit songs - ‘Pyar Kiya To Darna Kya’ and ‘Teri Mehfil Mein Kismat Aazma Kar’. The sheer grandeur of Mughal-e-Azam’s production, storytelling, music and sets, is an experience one cannot afford to miss!